The most important part of a successful exercise program is to have a program designed with gradual progressions, and with an individual’s very own specific needs in mind. Much of the time when beginners are motivated to start an exercise program and hear of a fat burning method of exercise that works, their tendency is to attempt to fit themselves into the workout, rather than adapting the type of workout to their own special individual needs. In the excitement of making that commitment to a healthier lifestyle, the most important part of the program is overlooked – modifying to your own needs to avoid injury and set back as you begin a healthier lifestyle. High Intensity Interval Training is a great method of exercise for fat burning and cardiovascular fitness that many people want to integrate into their weekly exercise schedule. The standard HIIT format alternates bouts of high intensity running lasting about 30 seconds with a recovery time of lower intensity running/jogging for about 1 minute. It’s ideal for fat burning because alternating between high and low intensity training raises your metabolism and causes an afterburn effect, so the muscles continue to burn calories as the body recovers. This is something steady state cardio can’t do. However, the running/jogging standard model is really not for beginners. Because HIIT is extremely physically demanding, those who are just starting out, those with joint problems, those who may be beginning an exercise program at 40+, those who have any lung or heart conditions, and those who are overweight shouldn’t necessarily attempt to adapt themselves to the standard method of HIIT, and may need specific doctor recommendations as their bodies learn to tolerate the demands of interval training. Also, to progress safely, it’s best to have the guidance of a certified personal trainer. Here’s my modification to the standard high intensity interval training. I like to go hard on my muscles, though I prefer to go easy on my joints because I’m over 40, plus I have asthma. My modification can be adapted to any fitness level, and will give you great results while leaving out the high impact and extreme cardiovascular demands of running and jogging. First, the intensity, or how hard you should go. The intensity level should be based on what feels hard to you for the high intensity bouts, and what feels moderately easy for you for the low intensity recovery bouts. That means on a scale of 1 to 10 you should begin working at your 7 or 8, and progress from there. Work hard enough that you are not able to carry on a conversation during your high intensity bout. Your lower intensity recovery bout should feel like a 4 or 5. Remember, it’s what is hard for you, not anyone else – this is how you match your workout to your own needs. The standard model for HIIT is 30 seconds high intensity to 1 minute lower intensity recovery exercise. However, you can adjust the length of the bouts to your needs; for example, 20 seconds of high intensity work, alternating with 2 minutes of lower intensity. Also if you’re a complete beginner, start with 2 and no more than 3 rounds of these exercises. You’ll have 2 to 3 rounds of this modified HIIT completed within 8 minutes. As you ease into this type of training, you can add more rounds. Pick two exercises, one for the higher intensity exercise, and one for the lower intensity recovery time. Make sure the high intensity exercise is a full body exercise. The lower intensity exercise should be one that is best done very slowly so your body can recover. Here are two different levels – one for a conditioned exerciser, and one for an absolute beginner. Both leave out high impact moves. Done on an incline up against a counter, chair, couch or riser, leave out the jump, but add a push-up. Performed slow and controlled; if this is too difficult for a beginner, march in place with high knees. Lower into a squat and step or thrust feet back. 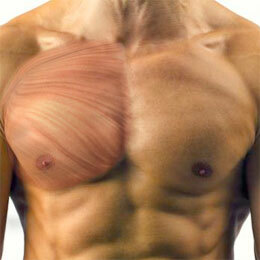 Place palms at chest level, a bit wider than the shoulders and lower into a full push-up on the floor. Thrust or step your feet forward, stand up extending arms overhead. Leaving out the jump, go up onto the balls of your feet. Squat or lunge, then coming up lift thigh into a single leg stance, extend arms overhead. Hold the pose for 3 seconds, then squat or lunge again; alternate sides with the lunge. Though good form in your running in the standard model of HIIT is important, the main focus in the high intensity bout is to push yourself as hard and as fast as you can. In this modified example, even though you need to go at a steady and fairly quick pace for the high intensity bout, a greater focus is placed on getting the full range of motion, performing every repetition with good form, and pushing your body weight back up. The great thing about fitting other types of exercises into the HIIT model is that you can substitute all types of movements, using all types of things for equipment – dumbbells, heavy ropes, stairs, your own body weight, being upright, or down on the floor. Adding movements in all directions will work your body in a balanced way – something you can’t get in the standard running/jogging model. This will also protect you against the risk of repetitive motion injuries. Both the standard and modified HIIT strengthen the heart and lungs by building cardiovascular endurance; get you the maximum calorie burn especially by placing the work on the largest muscles in the body, and increase your metabolism by creating the afterburn effect as the muscles recover from either intense cardio or intense resistance training bouts. Modified HIIT gives you some different things, but also some of the exact same benefits reached in a different way. Both build lower body strength and activate the largest muscles in the body, the gluteus maximus, hamstrings, and quadriceps. These muscles are fully engaged as the body is lowered until the thigh is about parallel to the floor. The lunge also develops balance. As you come up out of the squat or lunge and hold the single leg stance, you’re challenging your body to keep balanced, so you’re building core strength and stability. This works the full body. Emphasis is placed on the low body as you lower into the squat and thrust or step your feet back and forward. The plank/push-up activates the core muscles (abdominal muscles, erector spinae muscles around the spine, hips and glutes) keeping the spine neutral and the body balanced as you hover above the floor. The pectorals, the front of the shoulders (anterior deltoids), and the triceps (back of the upper arms) are also activated in the push-up, and even activated in the plank as the position is held isometrically. By substituting these two exercises, you’re working nearly every muscle in the body, developing cardiovascular endurance, modifying it to your needs, and leaving out the extreme impact on your joints. The rate at which you progress yourself is extremely important. This is where you really need to listen to your own body so you can progress yourself safely. With these exercises, I would suggest that you increase your high intensity bouts slightly, about 10 to 15 seconds after about 2 weeks, or add another round. For example, first gradually add time to your high intensity bouts. Eventually, you can add difficulty to your higher intensity exercises. In this modified, low impact HIIT, I would not recommend decreasing the low intensity recovery bout to less than 30 to 45 seconds, because it will take time to get the full range of motion in every slow repetition. And finally, change exercises to work the body in all planes of motion. To get more specific about what progression is best for you, hire a certified personal trainer who can challenge and progress you safely. High Intensity Interval Training doesn’t have to be confined to a running/jogging model, and if you listen to your body and take into account your own abilities, it can be uniquely modified for just about anyone. Remember to always fit the exercises and workouts to your needs. Those of you who are advanced exercisers, and can do the running/jogging HIIT may want to try this alternative model and include different exercises in place of your running/jogging just to keep it interesting; strengthening your entire body will definitely compliment your running. You can work your body in a more balanced way by moving in different directions and lessen the risk of repetitive motion injuries by substituting other types of exercises into your HIIT model. With imagination and a certified personal trainer who can modify and progress you, you don’t have to be bound to the standard model – your movement possibilities with HIIT can be truly endless. 2.) Sports Medicine Bulletin, Gibala, M., Active Voice: Is High Intensity Interval Training a Time – Efficient Exercise Strategy to Promote Health? 4.) Delavier, F. (2006). Strength Training Anatomy, Second Edition. Champaign, IL: Human Kinetics.